Hello November! I had the writer's block lately its like I want to write but I don't have creativity to do it. I know other bloggers feel the same every now and then, especially when there are a lot of things happening at work than in real life! Lately I feel like I don't have the work-life balance anymore. Well maybe its just me adjusting with my new environment, I am yet to find out. Anyway gals so I am drifting away from our review for the day, I know I owe you a lot of beauty reviews already, so sorry! 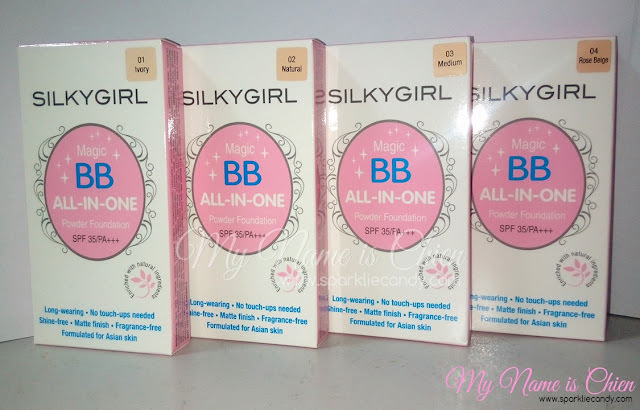 Not very long ago, Silky Girl is very kind to send me a package which includes Silky Girl Magic BB All-In-One Powder Foundation in all four shades. 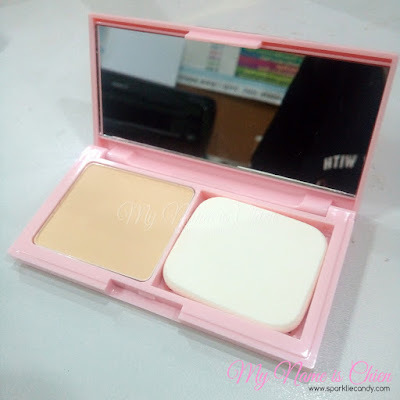 I am in love with their baby pink plastic compact powder. It easily closes and with a click, it locks for safety. I really like how nice and girly it is, its something I can proudly use because its definitely my color! 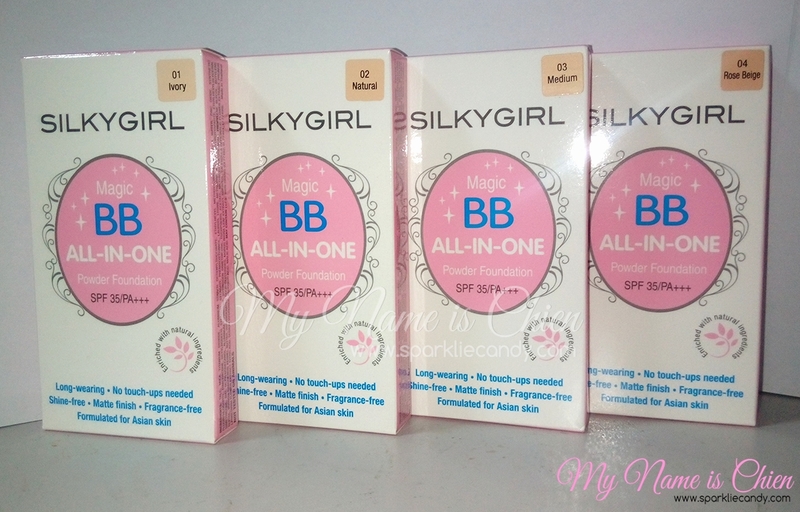 Silky Girl Magic BB All-In-One Powder is actually the 2nd powder foundation I've tried from Silky Girl. The first one is __. This powder is unscented and doesn't have shimmers. Its not powdery and there is minimal fall outs even when I've used brush for the application, I prefer the sponge it comes with though. Its very useable, unflimsy and doesn't smell! Its also very smooth to apply and it doesn't accentuate pores at all, it gives light to medium coverage. It also brightens up my skin tone and it gives an effortless natural flawless look. The end result is matte but not flat and can keep the oil at bay for 2-3 hours. I've used this as a finishing powder as well where I've used it on top of my bb cream because its very light on the face. I still use concealer if I have dark marks I want to cover. Not 3 but 4 shade range! For even lighter coverage you may use a kabuki brush for application. II really like how Silky Girl doesn't disappoint with their powder foundation. Silky Girl Magic BB All-In-One Powder Foundation is for office girls like me who wants a decent powder foundation that fits all their needs but wants to spend within the budget. Tag a mate who loves foundation!